Remember the 70s when John Travolta had feathered hair and The Pet Rock was an actual product people wanted? It’s almost hard to remember a time when researching a company or product wasn’t really possible, when “buyer beware” was a very real threat, when there weren’t 1000 product reviews to tell you that a rock is not a great pet. But that’s not the story anymore. Consumers have power and if you’re smart, you’ll take advantage of all of the tools they use to find out about you. 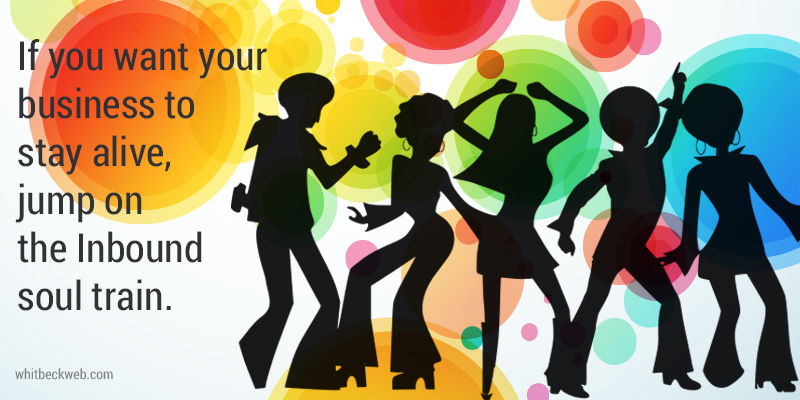 If marketing is a dance, Outbound is Disco and Inbound is Street. Everyone is telling you that you need to increase your Inbound marketing efforts. But what does that mean? From a marketing point of view, everything we put out there to allow consumers to find you online is called Inbound marketing. This includes social media, blogs, and web content. They pull consumers in. Outbound marketing includes the old school methods like television ads, billboards, direct mailings, and print ads. They reach out to consumers. Sure, Outbound is still used and it still works, but it’s definitely outdated. It might be only a matter of time before it looks as silly as a satin jumpsuit. It’s never been easier to get rewarded for being honest. Inbound marketing has elevated the conversation. It has made companies more honest and open with consumers. It makes sense. If you have people researching your company and reviewing your products and services, you will be held accountable for your company’s actions. Most business owners and marketing professionals are embracing this fact by associating their brands with causes, being clear about their missions, and using feedback from their consumers to improve their businesses. In this sense, Inbound marketing has caused a consumer revolution. People have taken the power of social media to reward companies that are forces for good. Inbound creates long-term, deep, meaningful, win-win relationships. There is no doubt that Inbound marketing is much more complex than Outbound marketing. If you were dating, Outbound would be speed dating and expensive dinners and Inbound would be late night heart-to-hearts and long emails. 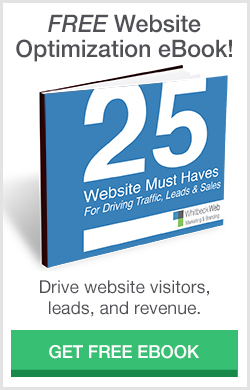 Moreover, with Inbound marketing, for the most part you know how well it’s working. This is called ROI and digital marketers are obsessed with it. Analytics have given markets a way to match products to consumers…similar to how dating sites use personality profiles to matchmake. Inbound marketing is the solution if you’re watching your bottomline. Let’s face it, Inbound marketing costs less. If you spent your whole marketing budget on Inbound marketing, you would get more bang for your buck. What’s more, if you don’t have much of a marketing budget, Inbound marketing is a great way to reach your potential clients. There is almost no barrier to entry in the marketplace anymore. If you have a service or product, you can be selling it tomorrow with just a few hours at the computer. And if you don’t have the time, hire a social media specialist. Inbound marketing is definitely a little more time consuming and challenging, but it also costs less and results in more engaged consumer relations.